New Fully Fitted music for free download! This is coming from a new guy to join the ranks of Fully Fitted and we didn't stray too far from home on this one. Apparently XXXchanges family just spills out musical goodness and his little cousin is no exception. 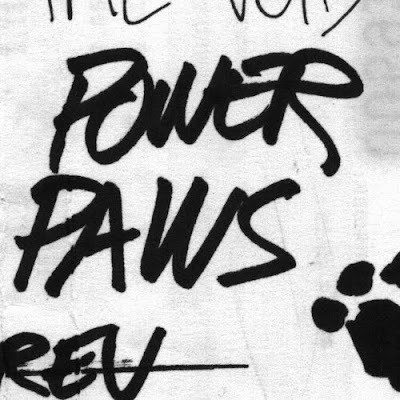 Power Paws sent us this Moombahton remix recently and we were kind of floored when we listened in studio. This Saturday our buds from Gang Gang Dance and Spencer Sweeney are throwing a party/live show/art installation in the downstairs bar at Santos. I'll be lending some visual assistance chopping up the usual deluge of source materials more free form than the Win Win sets. It's the return of the Emergency Party (see promo video below) but is also being called "Somebody Arted In Here" by the flyers on the wall. Come smell it Saturday night! Here is a new old edit I am finally putting out for everyone. Trouble & Bass released this song in 2009 I believe and I have had this edit sitting in my computer for too long of a time. The idea was to have Circleface re sing it, but it never happened. I combined pieces of the original + the Thomas Anderson remix and this is the final dubby product. It is a limited download on Soundcloud, so get it fast!